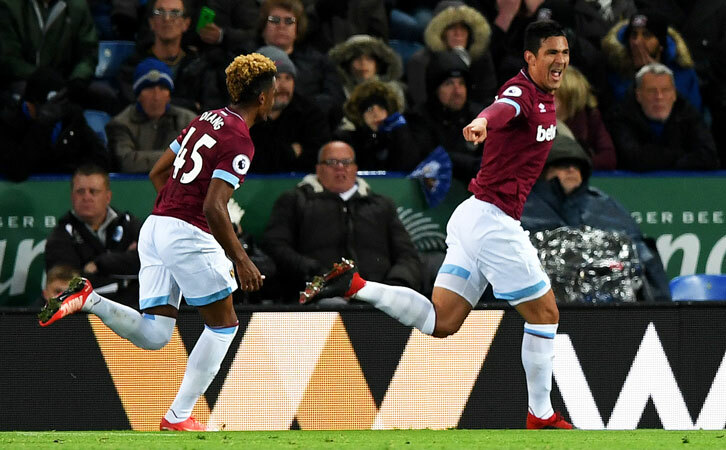 Fabian Balbuena insists that standard must not fall as the Hammers go into one of those so called “winnable” games against Leicester City on Saturday. The Paraguayan has made a great comeback after a three month long injury and was in fine form against both Chelsea and Manchester United. But like the rest of us he wants no more of the bad old ways which have plagued us on too many occasions this season. The old comments about performances such as we saw at Old Trafford bringing greater confidence are all well and good but we’ve had too many let downs this season to be over confident ourselves. However, it certainly looked as though the Irons had finally heeded the messages from the manager about playing like a big team. And it was tremendous see the loss of possession and poor quality of passing finally removed from the team’s game over the entire 90 minutes. And Balbuena told the official site: “We need to follow the way we have played in the second half at Chelsea and at Manchester United, with all the team running and trying to keep the ball to go forward and score goals. “We know that sometimes it is hard but we have quality in our squad to play well like we did on Saturday, so we need to keep working, keep strong and try to win the next game. On the United game he added: “We played so well and I think we deserved more. The second half was superb. The lads made good work, so it was unbelievable that we created so much and lost, but this is football and I’m a little bit frustrated about that. “It was one of the best games we have played away from home this season and we deserved more, of course. That’s the way we need to play every game away from home. We are in a good way, so we need to look forward and win the next game. “It seems we were unlucky with two penalties and we had more possession and created more chances throughout the game, so I think we deserved more, but we know this is what happens in football. It will be better for all the teams with VAR.